The Masalawala means the merchant of spice. A hip, cozy spot in the LES neighborhood, The MasalaWala is the perfect place for anything from a casual dinner to a family outing, friendly business meeting, or alternative to the been-there-done-that date. Everything from the décor to the street food concoctions beckons to those who want to be inspired and immersed in a sensational culinary experience without the fuss of formal dining. A fresh twist on tradition! At The MasalaWala, we think traditional Indian deserves a new twist. Think hip. Think fresh. Think creative yet casual. Because that’s what South Asian street food is all about – and we believe these fun little dishes are truly the best food South Asia has to offer! But you'll also find signature Indian curries and the most popular entrees for those days that call for classic comfort. 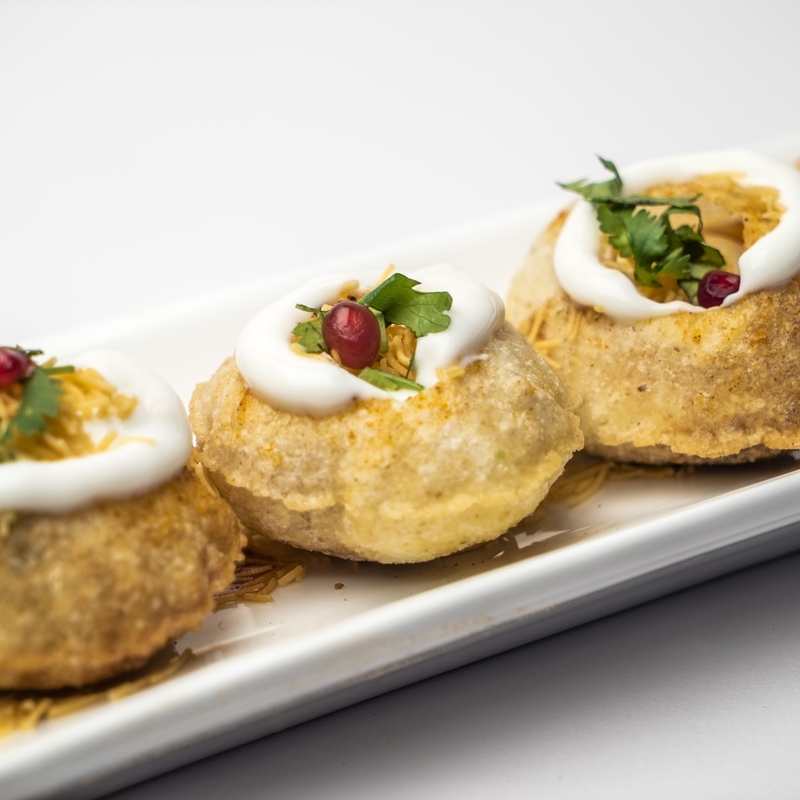 The MasalaWala is our way of bringing local flavor across the globe, and wrapping it up in a cozy neighborhood restaurant that appeals to all five senses. Our motto is “taste above all”. We make it a point to use fresh, healthy, authentic ingredients – every day and in every dish. Add in a few signature cooking secrets and a whole lot of love, and that’s the MasalaWala difference. Special moments at The Masalawala with Satyen (left), and Roni (right). “The man, the legend, The Masalawala,” writes Ben W. on Yelp, referring to Mr. Masalawala, the man behind the brand. The Masalawala restaurant was established in 2011 by Roni Mazumdar to ensure that his father never feels old after his retirement. Roni’s goal was to help his father find his true purpose and a restaurant in NYC seemed like the most obvious choice. Why, you ask? Growing up in Kolkata, India, food always played a central role in Roni’s household. Friends, family, and even complete strangers left the house overly stuffed because of his father’s love for entertaining guests – it was Indian hospitality at its’ very best. Today, The MasalaWala restaurant feeds all of NYC and beyond, as Roni’s father, the master of spice himself, embraces everyone with open arms, treating the restaurant as an extension of his own home. Thanks to our patrons, in just a couple of years, The MasalaWala has gone from a tiny, local, mom n’ pop shop to a name recognized by thousands across the world. And most importantly, Roni’s father, The Masalawala, feels younger than ever with his new found purpose; serving YOU an authentic taste of Indian cuisine and warm hospitality.